Testimonials - Loss Prevention System Inc.
"During the early months of 2008, the Anaheim Police Department Homeland Security Bureau initiated two critical infrastructure projects using Federal funds provided through the Urban Area Security Initiative (UASI) grant. Both projects consisted of the installation of anti-vehicle barriers at Anaheim Stadium and the Honda Center. In the spring of 2008, Loss Prevention Systems, Inc. (LPS) was awarded the contract for both the Honda Center and Anaheim Stadium projects. The planning process was somewhat cumbersome since personnel from three separate entities were involved. The entities included the City of Anaheim, Angels Baseball and the Anaheim Arena Management (Honda Center). In addition, there was a long list of mandatory requirements due to the use of Federal funds. Due to events at both Anaheim Stadium and the Honda Center, Mr. Straub had to stay in close contact with representatives at each venue. He then had to schedule his work crews so each phase of the project was completed between events. I frequently stopped by both venues and was impressed with the time frame in which the projects were completed, the attention to detail, and quality of work. Furthermore, Mr. Straub and LPS completed additional work without added costs to any of the parties involved. Few, if any, companies show this kind of cooperation and dedication. Throughout the process Mr. Straub was extremely patient and professional. I received favorable comments from all parties involved, which resulted in a positive representation of LPS. I look forward to working with Mr. Straub and LPS in the future." "Loss Prevention Systems, Inc. (LPS) has provided anti-vehicle barrier maintenance, crash rated gate installation/ maintenance, and regionalization support of alarm and security integration throughout the United States and its territories for SPAWAR SSC and NAVFAC AT/FP. With the most recent work in Washington DC and along the eastern seaboard. Their Staff is very knowledgeable and responsive to our issues. I've worked with LPS for over 5 years and have been very pleased with their expertise and professionalism." "I would like to express my satisfaction with the support your company has provided to us at Navy Region Southwest. Our barriers have never worked more consistently. The level of professionalism and quality service is unsurpassed. 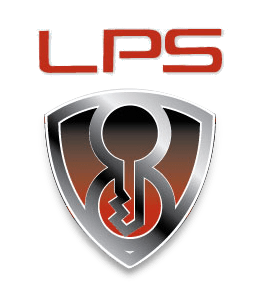 I look forward to continued success working with LPS."